Wood plastic specialists, Composite Prime, has launched HD Deck Dual, a brand-new, dual-sided decking board set to take outdoor renovations to the next level. With a remarkable likeness to timber that competitor products struggle to emulate, the board combines FSC® 100% certified hardwood timber and recycled plastic, to create a composite that offers a responsibly sourced and durable alternative to hardwood. 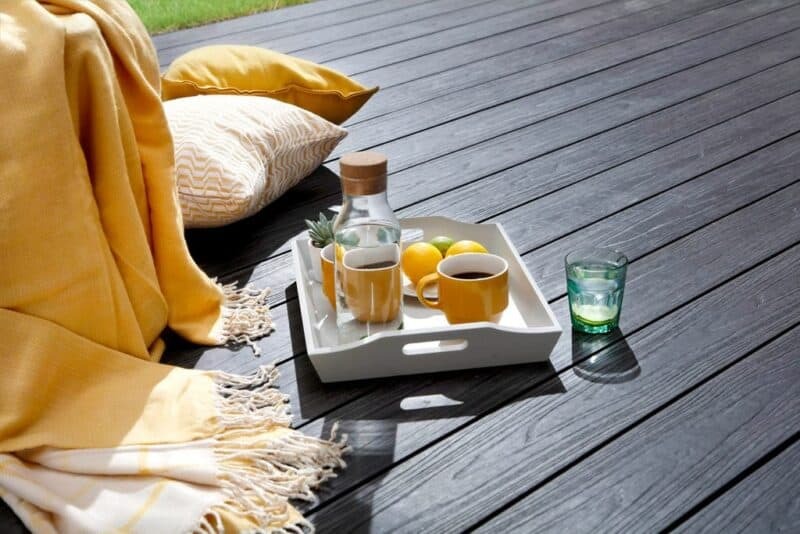 The decking also features a natural grain and is reversible, offering two colour options in one, along with the opportunity to lay a deck with contrasting colours to create a bespoke finish. Featuring a unique protective cap around the board’s outer layer, the material has been innovatively designed to protect the inner core from the elements. In addition, the fully capped design creates a protective layer that offers resistance against stains, fading and weathering. Charles Taylor, sales director at Composite Prime, said: “Launching HD Deck Dual to the market has allowed us to introduce a truly innovative product to the composite decking arena. As composites continue to take market share across the world, currently rising in popularity in the UK, there is certainly an appetite for sustainable composite solutions with a significant gap to provide a premium offer. HD Deck Dual offers increased durability and guarantees a 25-year life expectancy for residential use. It is available in six colours and utilises true grain colour mixing technology to mirror the subtle natural depth of colour seen in natural timber. Composite Prime produces a range of products, which provide the traditional look and feel of timber but with the array of attractive benefits the inclusion of plastic has to offer, such as resistance to rot and UV damage, alongside the advantage of being made from a sustainable, easy-to-maintain and long-lasting material. The specialist’s full range includes decking, fencing and garden products, which can be purchased from a number of distributors across the UK.